To save your precious time, we optimized transfection conditions for the most commonly used mammalian cells. 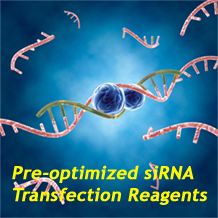 Just follow the optimized protocol, you will get the best efficiency with least cytotoxicity for both plasmid DNA transfection and siRNA transfection. 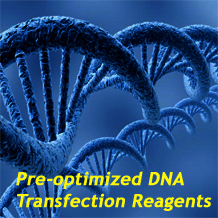 Right now we are expanding these pre-optimized reagents product lines.